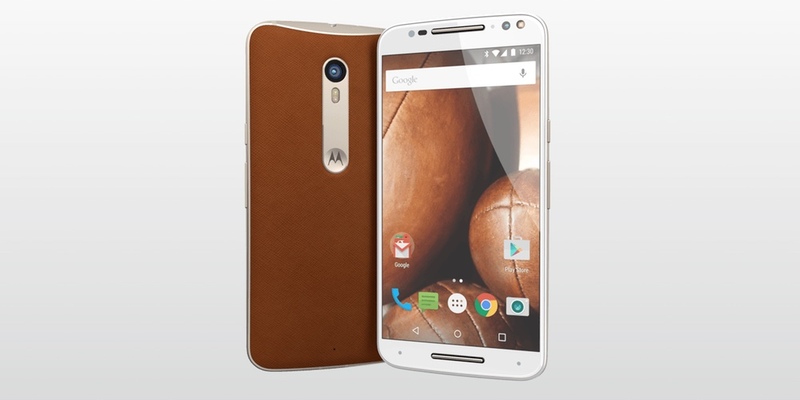 Motorola, this morning, opened up pre-orders for its newest flagship, the Moto X Style in the UK. While the device has been available to order in the US for a couple of weeks already, pre-sales only began today across the pond in Britain. Pricing starts at £399 and increases based on materials used on the back, or which storage option you go for. We recently heard from Motorola Senior Director of Software Development David Schuster that the company was working on testing and rolling out Android 5.1 Lollipop to the Moto X (2nd gen) and Moto E LTE, and sure enough it appears that U.S. Cellular customers should see the update hit their devices pretty soon. 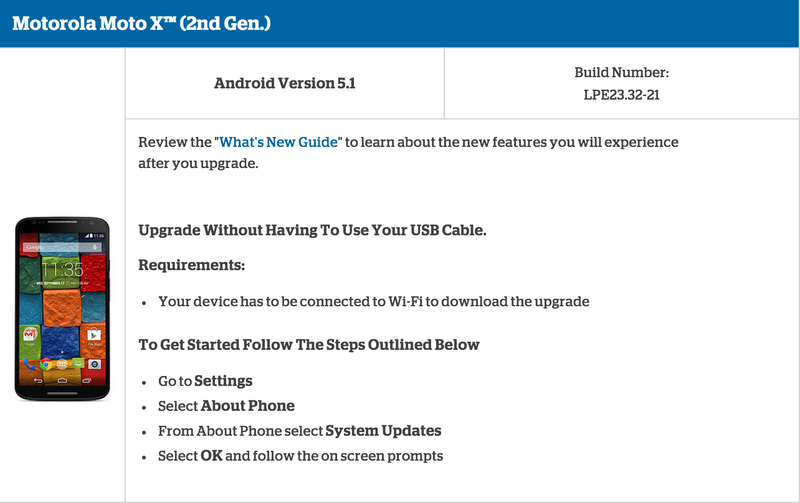 According to an Android software page on U.S. Cellular’s website, the build number for Lollipop on the 2nd generation Moto X is LPE23.32-21 while for the Moto E LTE it is LPI23.29-15. Since this is an over-the-air update you’ll need to be connected to WiFi to download the software update. To check if the update is available for your device yet, open the Settings app, select About Phone, and then System Updates. If it’s rolled out to you then you’ll see information about the update and be able to begin the installation process from this screen. Motorola Mobility, the mobile phone company sold by Google to the Chinese company Lenovo last year, has been ordered to pay $10M damages for infringing a Fujifilm patent. The patent concerned a method of converting color smartphone photos to monochrome, reports Reuters. Google and Motorola this evening have started rolling out Android 5.1 to the Play Edition Moto G. The update carries the build number LMY47M and comes in at 171 MB. The update is rolling out now over-the-air, although as usual, it’s a staged rollout and could take a few days to hit your device (via Android Police). Republic Wireless announced today that it will begin selling the 2014 Moto X on Wednesday, December 10th. As seen with other retail outlets, the “hybrid calling” service will support device customization via the Moto Maker. Republic Wireless will offer the 16GB variant of the second-generation Moto X for $399, which is about $100 under the handset’s regular off-contract price. Earlier this month, Motorola Mobility revealed a pair of new slim metal wristbands for its Moto 360 smartwatch, but absent from the company’s announcement were release dates for these stylish options. Today, however, the firm started listing these alternative bands as available on its website, but they carry a slightly higher asking price.